Neuro-Linguistic Programming or NLP, first developed in the in 70’s from the extensive work of John Grinder, a linguistics professor and Richard Bandler, a mathematics and IT research student, at the University of Santa Cruz, California. It also draws on the work of Noam Chomsky, Alfred Korzybsthe ki, Gregory Bateson (systemic therapy), Fritz Pearls, Virginia Satir (family therapy) and Milton Erickson (hypnosis). NLP explores the relationship between neurological processes (“neuro”), language (“linguistic”) and experiential behaviors (“programming”). NLP Coaching is about increasing self-awareness. It is about finding where your really are, knowing where you want to go and find ways that leads you toward your destination. NLP provides an extensive set of tools and skills which can be used to facilitate powerful, relatively quick and long-lasting change in both individuals and organizations. It is a collection of methods and models, which create an understanding of thought process and behavior, along with an opportunity for desired change. At the heart of the NLP Coaching is a process called modeling. It is the study of the subjective experience and the pursuit of excellence. Technology – NLP has specific techniques and tools that are employed to achieve certain results, mainly to affect one’s perspectives, emotions and actions to life experiences. 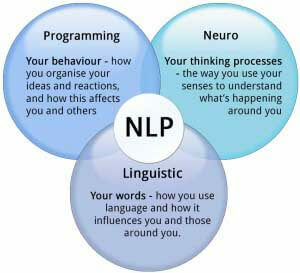 Methodology – NLP is based on a clear assembly of concepts and ideas that provide comprehension and guidance relative to the various techniques and applications. Epistemology – NLP promotes epistemology, which means that insight and understanding comes through experimentation and action. If what you are doing doesn’t work, do something different. In other words, there are many ways to solve a problem or reach a goal or establish change. Every behavior is meaningful in some context. Once we have understood the original context of the behavior, or how the client finds place for it subjectively, we have a better hope of making progress. For the NLP coaching to be successful, the clients need to commit to the coaching process. Commitment is not easy as normally the clients already have many commitments in their lives (family, work, friends etc.) and now they need the time, effort and resources to commit to additional issue. It is important to note that coaching is not only an intellectual, but also emotional. The clients must be motivated to invest emotionally and take the necessary steps to act outside of their emotional comfort zone. The results are only feedback for continual learning. In summary, NLP coaching share elements of counseling, therapy, teaching, consulting and mentoring, while it focus on present and the future, while building on strengths and actions. NLP coaching is designed to teach people how to heal the past, shape the future and live more fully. It can help you achieve excellence in your life, no matter what you desire.